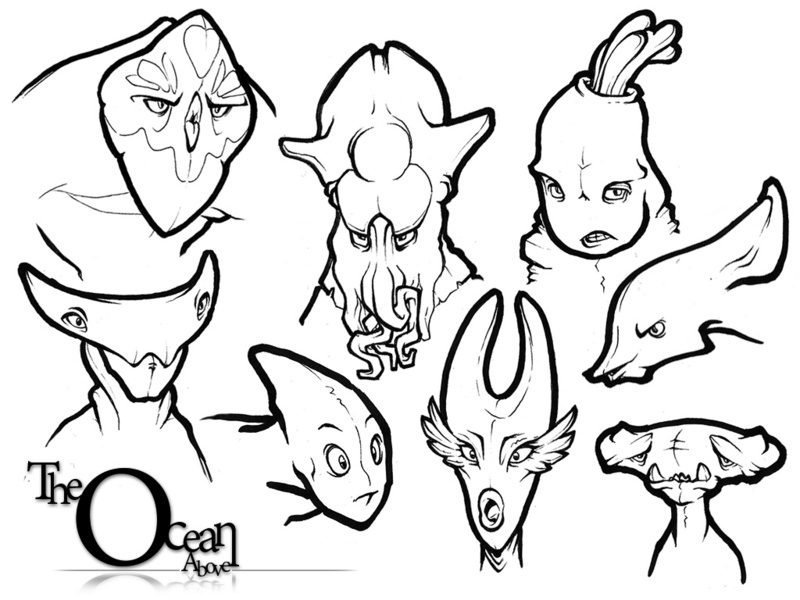 I've been kinda interested in aquatic themes and characters recently. The Ocean Above is a story I've been messing around with about two great bodies of water. One is a vast and beautiful ocean which fills the sky as far as the eye can see. It floats above the dark and murkey waters below, suspended by a force called the great divide. The main character Finlo falls from his perfect life in the ocean above, landing in the contaminated depths below. He tries to find his way back but things turn out far more difficult than he could ever imagine.